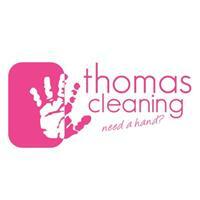 Thomas Cleaning North Birmingham - Cleaning Services based in Birmingham, West Midlands. My name is Mussie, and I have 6 years experience. This is a family run buriness, me and my wife work as a team together. Thomas Cleaning North Birmingham have been providing stellar domestic and commercial cleaning to our customers in Birmingham for many years. Our services include standard regularly cleaning to deep cleaning for end-of- tenancy. Both domestic and commerical. Whether it’s your home, office or school, our cleaners do a sterling job to make sure your space is clean and pristine. Our business revolves around customer service, and we will go above and beyond to spruce up your space and keep things orderly. We also take care of your ironing needs and collect and deliver your laundry. Our timings are flexible and we arrange our schedules based on your convenience. For certain jobs like move-out cleaning, we have no issues spending more time until the entire space is spick and span at no extra charge. We arrive with our own equipment and cleaning materials that are environmentally friendly and safe for pets and children. Give us a call our contact mobile number is 07951 642718 and we’ll take care of ensuring your place looks great and smells fresh.